The BP Rolls Commercial paint shop is a purpose built unit designed to deal with the preparation and painting requirements of commercial vehicles of all sizes, regardless of age. Equipped with four commercial sized spray booths and a specialist shotblasting bay, it is one of the largest set-ups in the region catering for customers across the south of the UK. Time and time again our customers return to us, because they know that we deliver consistently excellent results. Our team of Technicians have a wide range of expertise and experience working on literally all kinds of vehicles, from panel vans, to double decker buses, tipper trucks and aircrafts. Highly skilled, they can cater for all your paint requirements from a simple respray to the most elaborate design. We only use the finest quality paints, primers and finishing products. 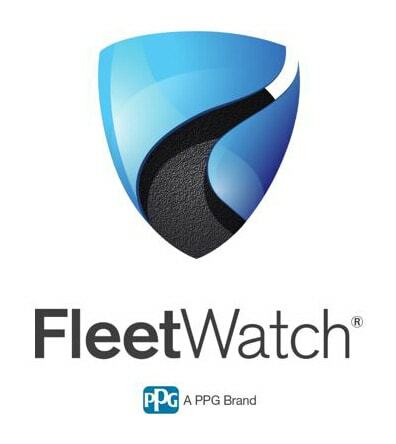 In association with our membership to Fleetwatch, PPG is our partner of choice. The PPG Commercial Transport Paint System is second to none and PPG are committed to offering the highest quality in paint systems, process efficiency and services to the commercial vehicle industry. Their long expertise in coatings and their relationships with commercial vehicle manufacturers, combined with a passion for leading edge technology development means PPG offer a complete and versatile range of products designed specifically for Commercial vehicles, meeting even the most demanding requirement for finish, performance and process efficiency. Our paint mixing facility is equipped with a Colour Spectrometer that gives us the ability to match and mix absolutely any colour of the spectrum. We are happy to work with paints from other suppliers, however they won’t be subject to the same warranties that we are able to offer with PPG. Regardless of the type of vehicle, we are well equipped to service the needs of your commercial fleet. From LGV and HGV’s to vans, trailers, cabs and other light and heavy commercial vehicles, our commercial paint shop is equipped with four commercial sized spray booths, a specialist shotblasting bay and low bake ovens enabling us to spray vehicles in a dust free environment ideally suited to give a flawless and professional finish. BP Rolls is a part of Fleetwatch, a highly credible national fleet network of quality commercial vehicle paint shop specialists in the UK. We regularly work with custom trailer manufacturers and event promoters to provide bespoke paint solutions. Coupled with our commercial vehicle accident repair and refurbishment services, BP Rolls Commercial can offer you complete vehicle renovation or accident repair solution. Our commercial sales and estimating team are on hand to discuss your requirements, from panel van to HGV we can cater for vehicles of all shapes and sizes.